Turkey’s export volume, with significant achievements and stimulus from the government, is at its highest point for the first time in the history of the Republic of Turkey. In 2018, the country gained 168,1 billion dollars from the exports, compared to 2017 it increased 7,1% with 11,1 billion dollars. Although imports are still higher in Turkey, exports gained more volume while its import volume decreased with %4,6 fall and it was 223,1 billion dollars in 2018. Turkey’s most exported products were automotive, ready-made clothing and textile and iron & steel last year. In 2018, with 84,1 billion dollars 50 percent of exports were made to Europe and its countries. Asia, North America, and South America following Europe as top exported continents. Exports to Africa increased 24%, while Latin American countries exported more products in 2018 with 35,6% increase from 2017. The exports to two countries, which Turkey labeled as the target countries last year, also gained more volume. From 2017 to 2018, exports to Mexico increased 36% while to India it was 48%. As it is expected with 50% of the country’s products exported to EU countries, Turkey’s top three export countries are Germany, the United Kingdom, and Italy. Turkey mostly exported automotive, agriculture and food, ready-made clothing and textile and iron-steel to its top countries. In 2018, the top destination for Turkish exports was Germany, with exports worth $15.8 billion. With more than 3 millions Turkish people living in the country, it is no surprise that Germany is our top export country. Since 2011 exports to Germany are over $13 billion and it is increasing every year. In 2017, exports to Germany were worth $15.1 billion. The United Kingdom mostly imported automotive, textile and machinery products from Turkey in 2018. Exports to the UK were worth $11.1 billion in 2018 while it was $9.6 billion in 2017. Last year, mostly in the automotive and textile sectors, $9.4 billion of exports were made to Italy. The export volume was $8.4 billion in 2017. Turkey exported $8.2 billion worth machine parts, cement, copper and plastic to sell products to the United States in 2018. Exports to the US were $8.6 billion in 2017. One of Turkey’s top exporting countries Spain imported $7.7 billion worth automotive products, olive oil, and citrus fruits in 2018 while the amount was $6.3 billion in 2017. Turkey’s neighboring country Iraq imported $7.3 billion worth goods in 2018. While the country is still trying to rise from its ashes, Iraq economy is becoming more independent and as a result of this progress, Turkey’s export volume to Iraq decreased compared to 2017. The country made $9 billion worth exports from Turkey back in 2017. 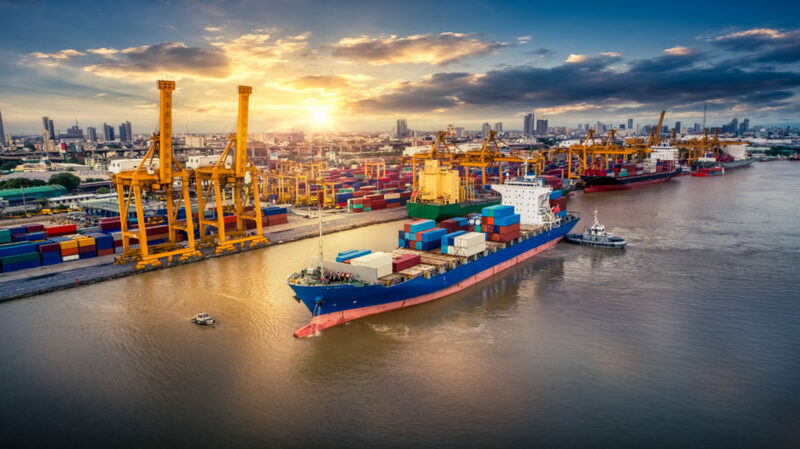 The exports made to France were mainly machine parts, plastic, and chemicals worth $7.2 billion in 2018. The number was $6.5 billion in 2017. In 2018, $4.6 billion of worth electrical-conductive materials, automotive, and clothing and textile products sold to the Netherlands while in 2017 the level of exports was $3.8 billion. Turkey exported $3.9 billion worth products especially from automotive and textile sectors to Belgium in 2018. The exports to Belgium was $3.1 billion in 2017. Romania imported $3.9 billion worth products from Turkey in 2018 while it was $3.1 billion in 2017. The country imported machinery, automotive products, and iron-steel from Turkey. If you are interested in doing business in Turkey, you can check Business Structures page to get more info about how things work in Turkish business life.